Here are some tips for you to prepare yourself for a hike up Mount Kinabalu.Remember: Failing to plan, is planning to fail. Acute Mountain Sickness or AMS is the effect on humans caused by exposure to low oxygen pressure at high altitudes. AMS is incredibly dangerous because it reduces a person’s brain function to that of a 6-year-old, and prolonged exposure to high altitudes can lead to death. Below is a list of common symptoms of AMS and some treatments that can be exercised. Lugging pots into the wild on a camping trip is a real pain. They take up too much space, are really heavy, and are almost impossible to fit into a backpack without some Tetris skills. Not if you have the all new XPot from Sea To Summit. Check the video below for a peek at how awesome it is. 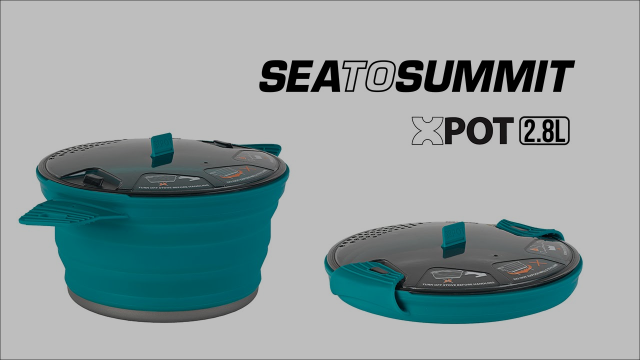 The Sea To Summit XPOT also goes well with the XPOT Kettle and XPOT Cup. Get your hands on these magical contraptions at our website right now!